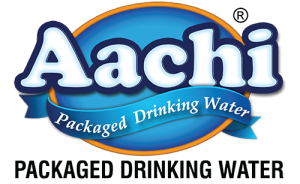 Aachi Packaged Drinking Water is hygienically processed at state-of-the-art facility having five stages of Purification: Pre-Filtration, Reverse Osmosis, Micro-Filtration, UV treatment and Ozonation. 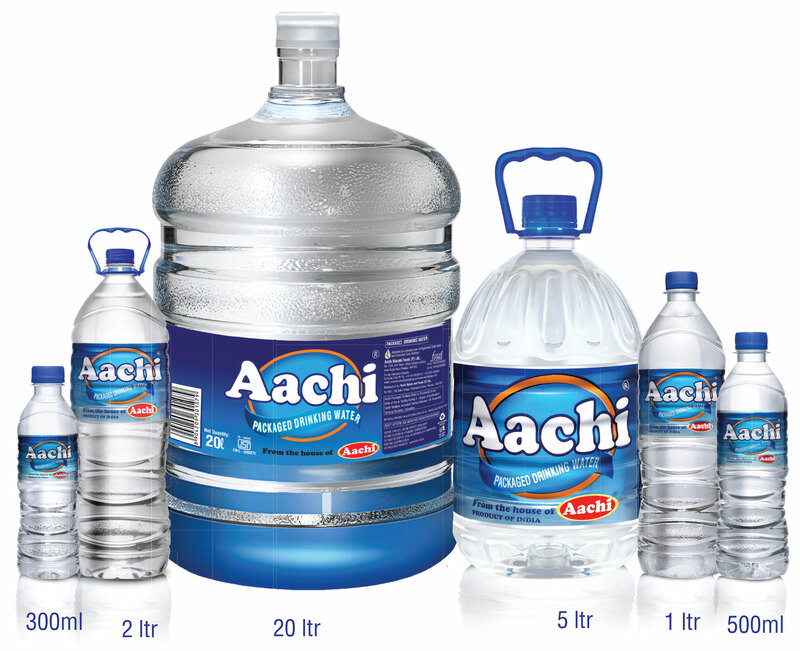 The Plant is certified by BIS & FSSAI and various promotional activities are taken up to see the Aachi Water customers have access to pure and safe drinking water. 1. 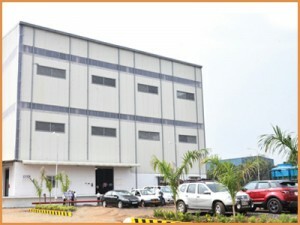 Meets International & National Norms – WHO,BIS & FSSAI Standards. 2. 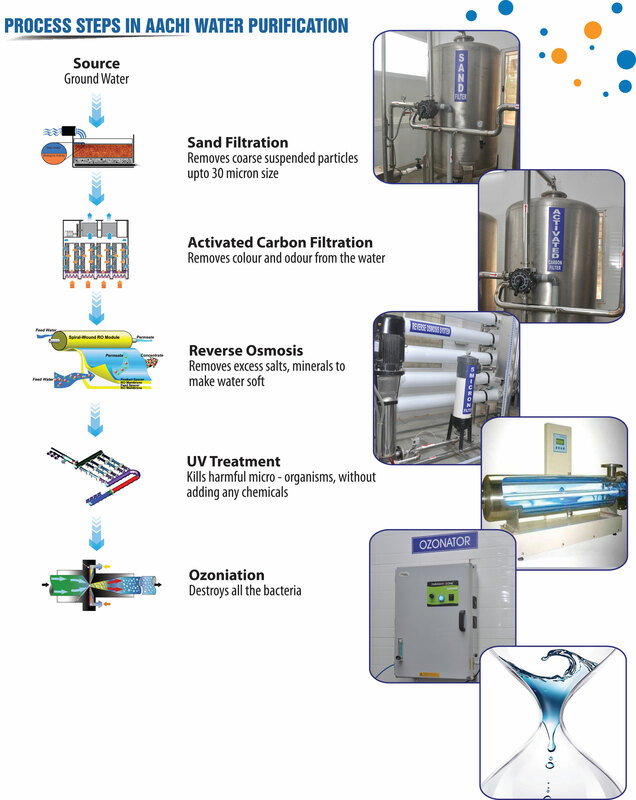 Processed through 5-stages of Purification (Sand Filtration, Activated Carbon Filtration, Reverse Osmosis, UV Treatment & Ozonation) in our state-of-the-art manufacturing facility. 4. Tamper Proof & Adulteration Proof Seal, which ensures “Purity” until use. 5. Elegant range of Hot & Cold – Imported Dispensers.